ROCHESTER — Chief Paul Toussaint reports that the Rochester Police Department, after an aggressive investigation, has arrested a suspect in the brutal attack of a young woman outside a local fitness center. 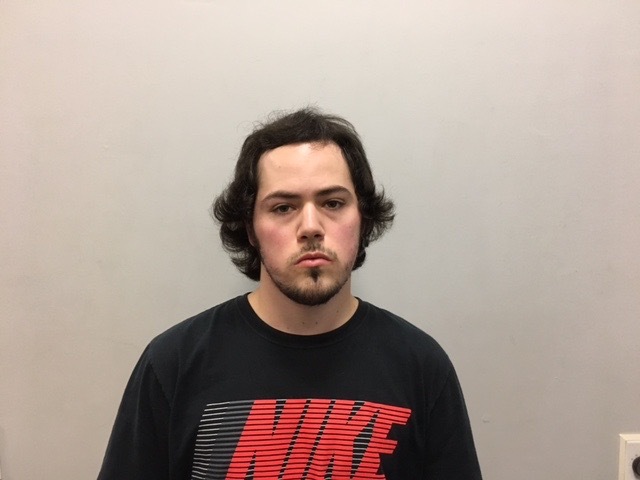 Jordan C. Lamonde, age 22, of Portsmouth was arrested after Rochester Police Detectives responded at 1:30 p.m. Monday afternoon to Portsmouth Regional Hospital. He has been charged with Second Degree Assault (B Felony). On June 12, at 10 p.m., the Rochester Police Department responded to Planet Fitness at 306 North Main St. for a reported assault. Upon arrival, officers found an 18-year-old female who told police that she was walking out to her car when she was attacked from behind by an unknown man. Surveillance footage capturing the first moments of the attack was widely circulated by the Rochester Police Department shortly after the incident. Lamonde was held on $150,000 cash bail and will be arraigned Tuesday at 11:30 a.m. at Strafford County Superior Court. “This was a vicious, unprovoked attack that shocked our community, and I am proud to report that the suspect has been identified and apprehended,” Chief Toussaint said.